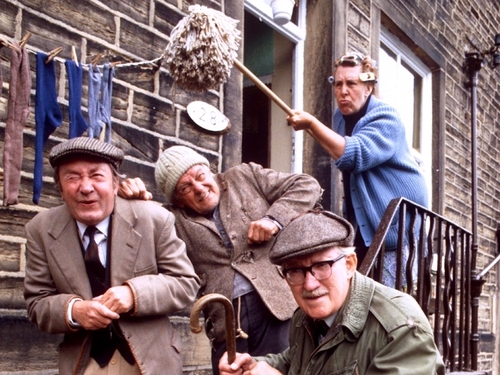 The BBC has announced that its golden years comedy series 'Last of the Summer Wine', the world's longest-running TV sitcom, is to end. The Press Association reports that there will be just one more series of the show, which began in 1973 and is filmed in Holmfirth, West Yorkshire. Cheryl Taylor, BBC Controller for Comedy Commissioning, said: "It is a testimony to the wit and warmth of the characters that Roy Clarke originally created that this amazing series has endured over several decades. "The BBC feels enormously privileged to have played host to its many charms for such a long time and we very much respect the affection in which it is held. "It is very tough to have to call time on such a cherished institution but we are very sincere in our gratitude for and admiration of 'Last of the Summer Wine'. "It is the undisputed champion of long-running comedy series. We would like to thank Roy Clarke, Alan JW Bell [director and producer of every episode] and all the cast members for their wonderful achievement and for their dedication to the show."